Most people would have to admit that the lame 3D conversion wasn't the only thing that was disappointing about Clash of the Titans. Apparently, the film's star, Sam Worthington, thinks so too. Speaking to Moviefone, Worthington explained his thoughts on the first film and promised that he would take notes "from people on the internet" and make sure the film's sequel, Wrath of the Titans, is the film they want to see. As much as we appreciate Worthington's commitment to quality work, we wonder just how he plans on satisfying the needs and desires of millions of would-be internet critics. Doesn't he know that making everyone happy is impossible, especially when you're talking about internet users? "I've always said you make movies for an audience, that's who you make movies for," he said. "If the audience is speaking, it's like the old gladiator thing, they give us the thumbs up/thumbs down, you want to stay alive in that coliseum as long as you can." While this last part sounds more like pandering than a promise, it's nice to see a big actor like Worthington acknowledging the little people who are responsible for paying his big checks. 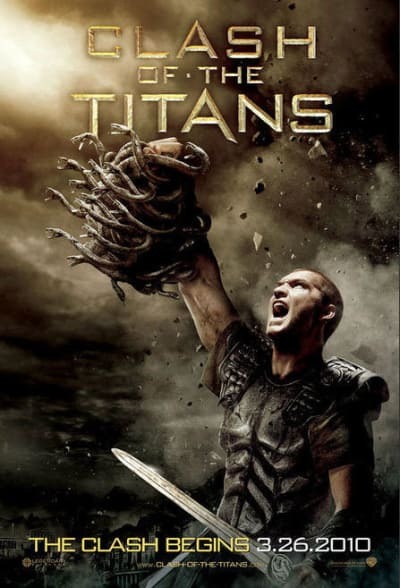 We'll just have to wait and see how Wrath of the Titans comes together. It's due in theaters on March 30, 2012.